This is a simple but festive dish we made at Po Restaurant in the late 1990’s. 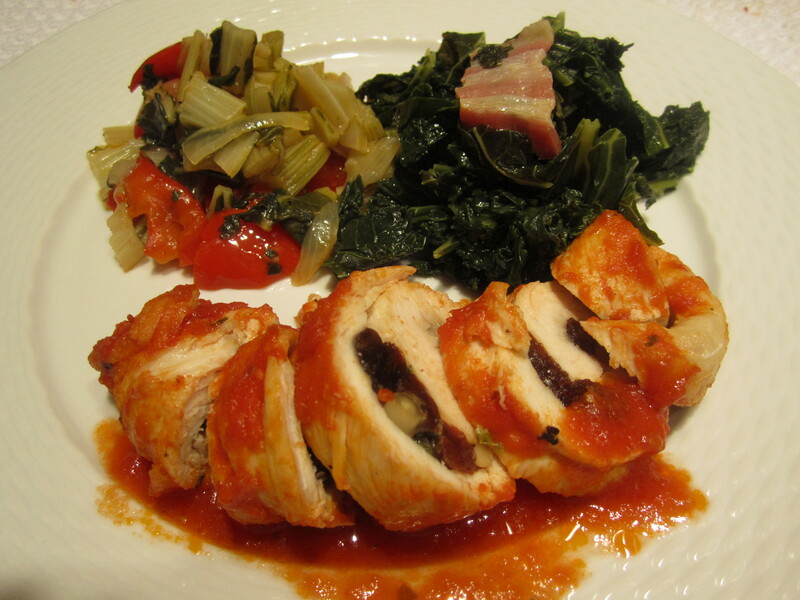 It’s a simple chicken breast, pounded thin, stuffed with a combination of pine nuts, raisins, parmigiano and parsley, then rolled, lightly browned, and braised in tomato sauce. I had a small group for dinner and this is a great dish to serve guests, because it can be made ahead and held in a warm oven while the first course is served. 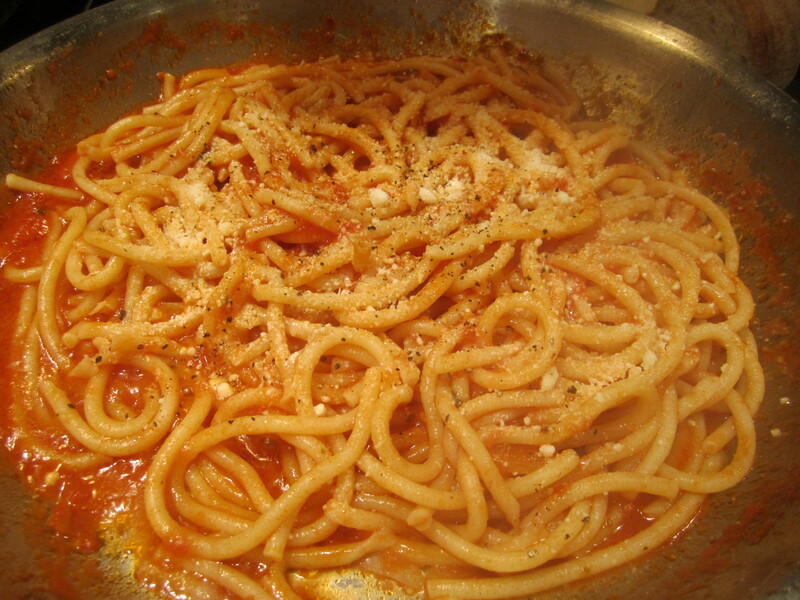 The first course tonight is pasta, more specifically “pici“, which are fat, meaty spaghetti. They were lightly sauced with the braising liquid from the chicken, and sprinkled with grated pecorino. 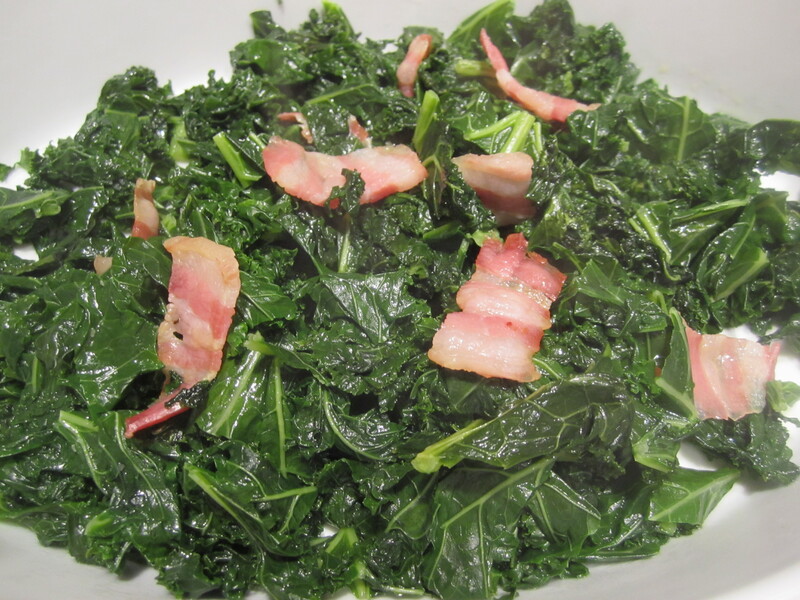 I made two accompaniments to the chicken–one was kale with pancetta, from this past weekend’s farmers’ market. 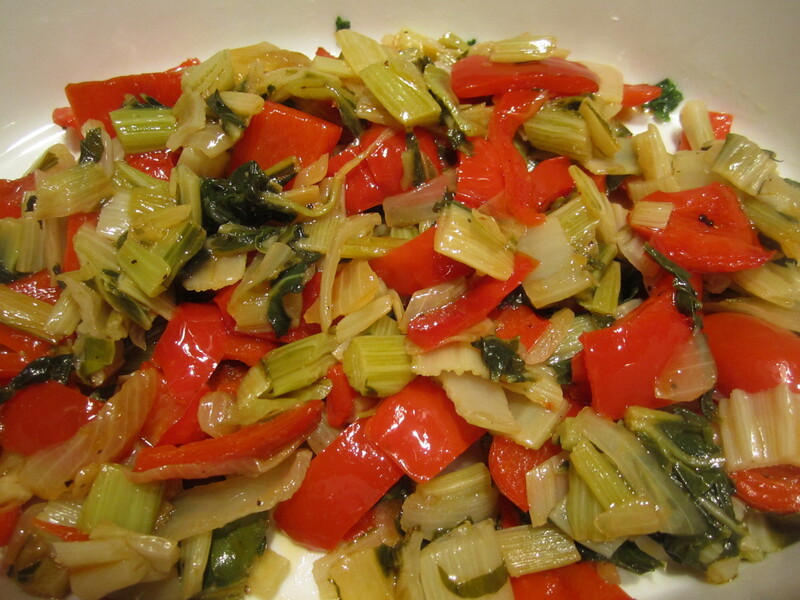 The other side dish was a bonus made from leftover swiss chard stems, boiled and sauteed with florida red peppers and onions. Spread chicken breasts on board and season both sides lightly with salt and black pepper. 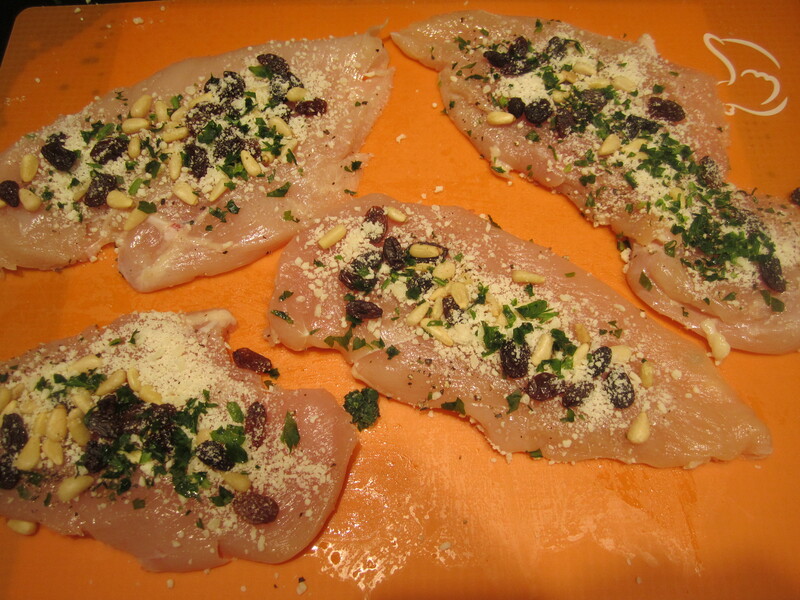 Sprinkle the raisins, pine nuts, parsley and cheese evenly over each piece. 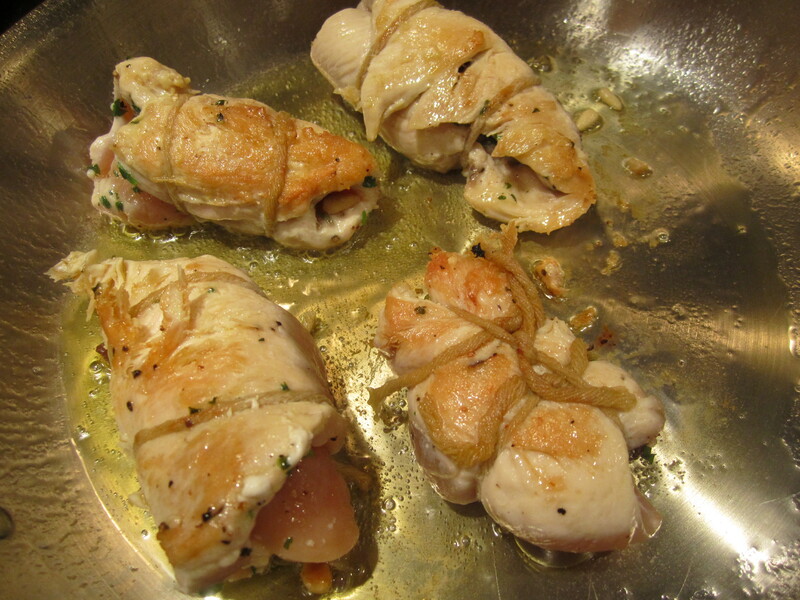 Gently roll the breasts into little bundles, being careful to press out the filling. 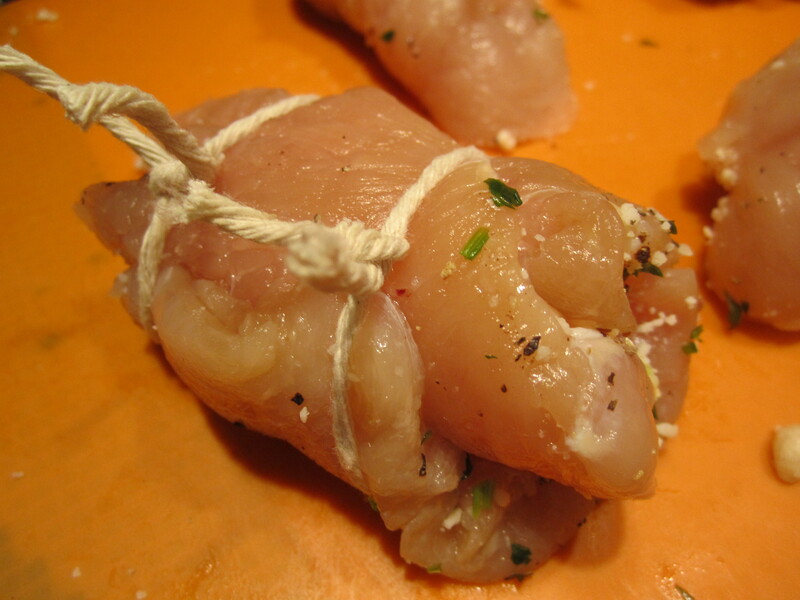 With kitchen twine, tie each breast in 2 places to maintain shape (toothpicks may be used in place of string). 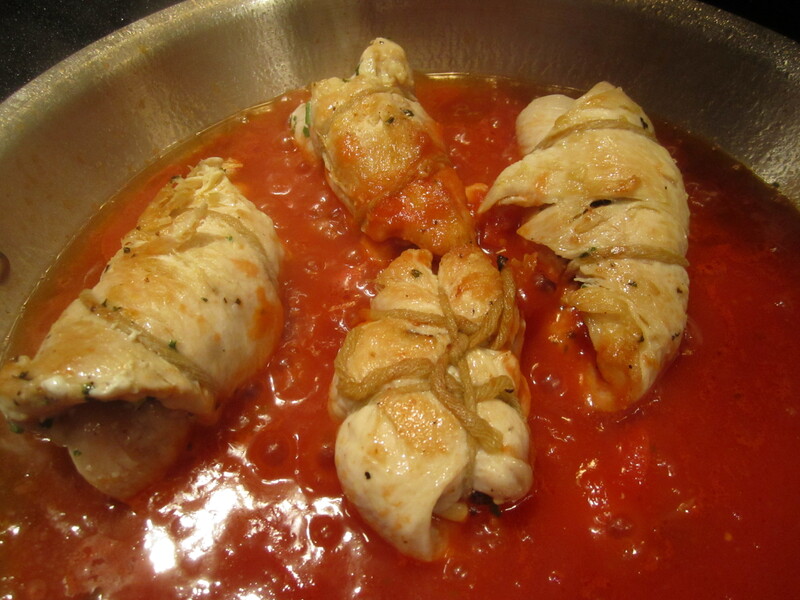 Heat oil in skillet and add braciole. Without disturbing, alow to lightly brown on one side before turning–approximately 5 minutes. After the first side is golden, turn and add sauce to the skillet. Cover and reduce heat to low. Simmer, partially covered for 15 minutes. May be made to this point an hour ahead of time and reheated in a 275-degree oven for 20 minutes. When ready to serve, remove string and gently slice.